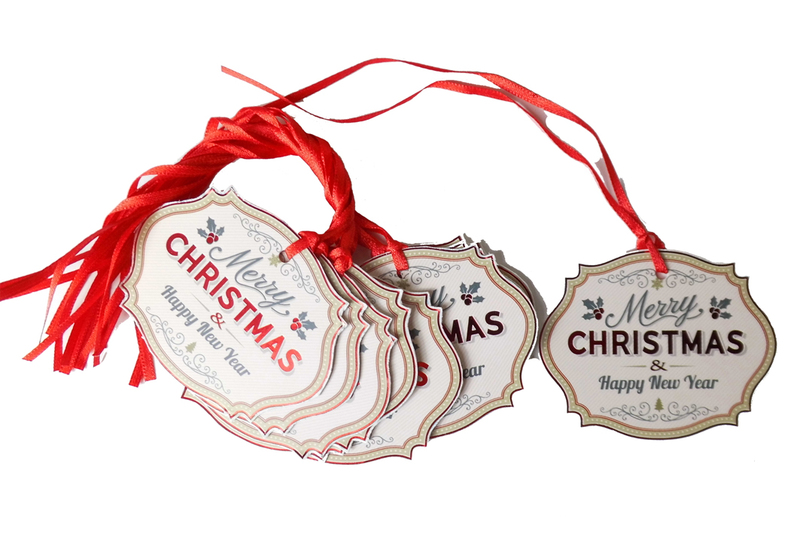 Pack of 50 gift tags with a Merry Christmas design. Each gift tag measures approximately 90mm x 50mm and comes with a co-ordinating red tying ribbon. Love them, great festive colors capture the essence of Christmas-very elegant design. Great for your personal message I am also using them as cards for a pot luck pick writing the name of the gifts on the back of the tags and for fun getting family and friends inter active by selecting a gift randomly by picking a tag a little bit of festive fun with a few surprises thrown in for good measure. Very nice.